While the rest of the world remembers and honors the 70th anniversary of Pearl Harbor, today I celebrate two different events. They are equally significant and, for me, are occasions to remember and reflect. Today is my son’s sixth birthday. Today I am wearing a green sweater. My son is six. This is a blessing in and of itself. My son is six. This is a blessing because he is a cancer survivor. He was diagnosed with stage 4 cancer on December 12, 2008, just five days after his third birthday. I was wearing this green sweater when he was diagnosed. The five year survival rate for my son’s diagnosis is 35%. So you see, I was given my son twice. The first time was on December 7th, 2005, in the early morning hours after a very long labor (48+ hours) and delivery (he was sunny-side up and wouldn’t drop). The second time was October 26, 2009, when we got the news that he was cancer-free. Thankfully, we continue to get good news. He is almost two-years off-treatment (OT) and thriving in kindergarten. He loves art, math, and music. He is an avid lego-builder. He is kind and sensitive. He knows how to love and expresses it freely. 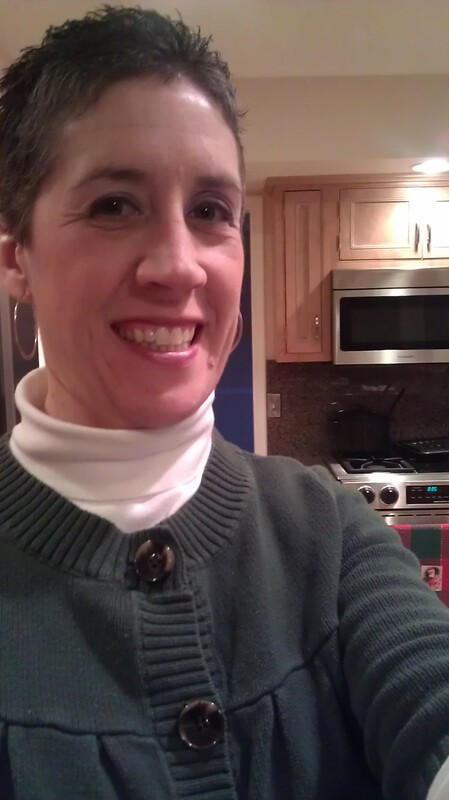 Today, I am wearing this green sweater as remembrance. I am reminded of the cold, dark, and devastating day in 2008 when we learned that our just-turned-three-year-old-son had cancer. Today, I am reminded of that long drive back to Lansing from Ann Arbor to pick up our youngest son from day-care (at 7pm!). I still do not know how my husband was able to steer our car home, how we did not end up in a snowbank on the side of the highway and just stay there forever. Today, I am reminded of the absolute terror we experienced. The world as I knew it, and my role in it, were irrevocably changed. All while I was wearing this green sweater. After my son was diagnosed, I wore this sweater a few more times. One of my all-time favorite pictures of me and my younger son was taken while wearing this sweater. But as we got further and further into the childhood cancer world (chemo, bacterial infections, radiation, scans), I just couldn’t wear it again. It held too many painful memories, too many reminders of that gut-wrenching day. I put it away in the bottom of a plastic bin and shoved it to the back of my closet. Too many other cancer families do not get the good news that we got in 2009 and continue to receive. Too many other cancer mommas hold their children as they die. Too many other cancer mommas must wake-up and face another day without their babies (http://www.46mommas.com/). Cancer almost stole that from me, too. I do not know why my son survived and others do not. There is no reason. There is no lesson to be learned. But, my son is still here with me. And, because of that truth, I must choose to live into this new life. I must choose to learn a lesson from our experience. Today, I choose to wear this green sweater as rebellion. I choose to wear this green sweater so that I can create new memories. Tonight, we will go out to dinner (Cracker Barrel is his choice) and I will wear this green sweater. I will smile and laugh and thank God for my blessings. I will take a picture of me and my sons, while I am wearing this green sweater. There’s that Crap Shoot, again. There is no reason why we received the luck of the draw (so far). We only know that we recognize it and are humbled by it. Wear it with remembrance, love, defiance and a touch of suffering. Love you, Momma. So much. With such ferocity.